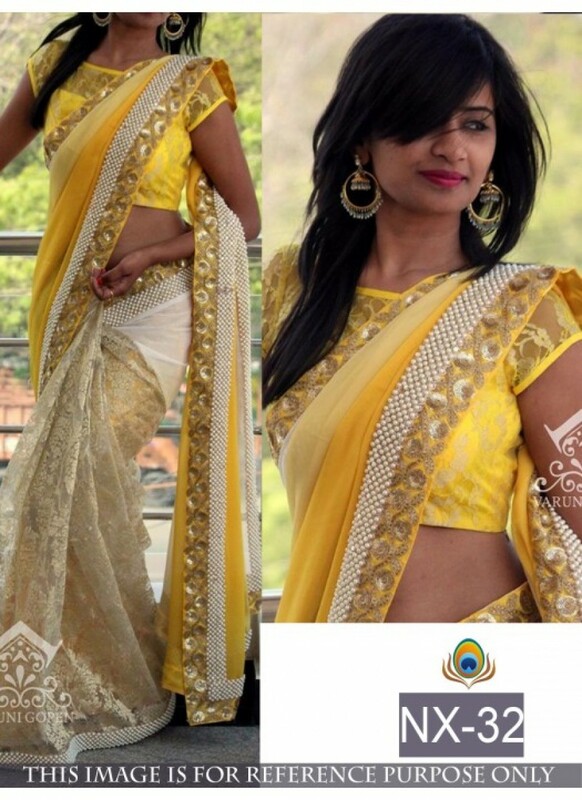 Rozdeal Pretty Yellow Half And Half Saree Buy Online Online Designer Saree is said to be the most graceful piece of clothing a woman can wear. Exclusive Designer sari blouse is essentially a party wear or a festive wear. our provided designer saree is elaborately designed by our designers using soft quality fabric and different embellishments. 1. Click on "Buy Now @ Rozdeal" on this page. 2. You will be redirected to "Rozdeal" Merchant Website.